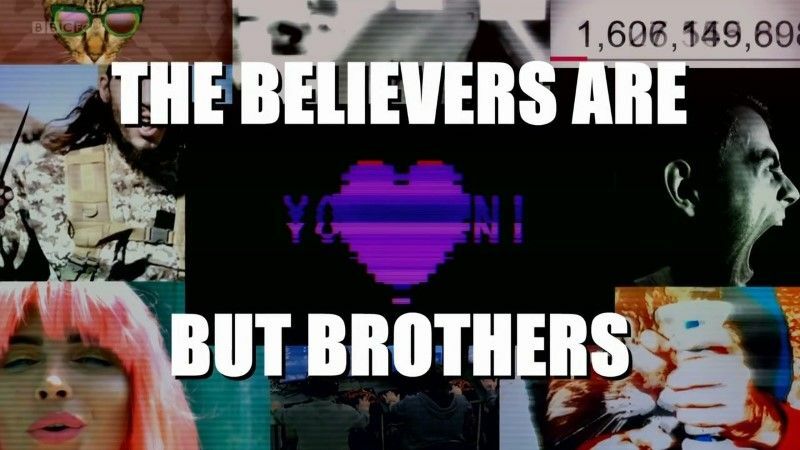 The Believers Are But Brothers is an urgent political riff on young men and the internet, adapted for television from an award-winning play. Javaad Alipoor and director Irshad Ashraf step into the dark, blurry online world of fantasists and extremists to tell four fictional stories - of an ISIS recruiter, two British recruits and an Alt-right 'white boy' from California. Extremists of all persuasions communicate openly on social media channels and it is here that Alipoor found young men burning with resentment and empowered by digital fantasy. These encounters inspired his play which captivated audiences with its portrayal of a shifting world of truth, fantasy, violence and hyper-reality just one click away. Now adapted for television, and performed by Alipoor, it promises to give BBC Four audiences an insight into this disturbing digital realm. Through the screens on our phones and in our homes, and the apps we use every day, Alipoor explores the online radicalisation of young men via an electronic maze of meme culture, 4chan, the Alt-Right and ISIS. Along the way he uncovers a toxic mix of the harmlessly bizarre and the horrific; gaming and online chatrooms, infamous ads and propaganda, brutal misogyny and weird fantasy where, seemingly cut off from real world values and boosted by anonymity, anything can be said or done. This page was last modified 23:39, 5 April 2019.